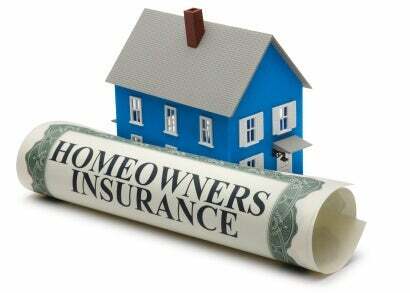 First time Home buyers/owners - Buying Home Insurance....Is it worth it? So you've decided to purchase a new home. Congratulations!.While shopping for the perfect mortgage terms, don't forget to shop around for the perfect homeowner insurance. Homeowner insurance is not cheap but you will sleep better knowing you have it.There is no need to settle for inferior homeowners coverage. If you use the tips below, you can purchase homeowners insurance that guarantees your home and personal belongings are fully protected both now and in the future. You should get homeowners insurance that covers the full replacement cost of your home—not just the market value of your residence.The replacement cost and market value of a residence may seem identical at first. But upon closer examination, it becomes easy to understand why you’ll want to purchase a homeowners policy that offers protection for the full replacement cost of your house.For homeowners, the replacement cost refers to the total amount it would cost to rebuild or replace your home if it was completely destroyed. This cost may vary based on your home insurance provider and usually accounts for the plans and permits, fees and taxes and labor and materials that you would need to replace your house. However, the replacement cost does not account for the value of the land associated with your home.On the other hand, the market value reflects what your home is worth today. It fluctuates based on the current condition of your house, the real estate market and various economic factors.The market value of your home commonly proves to be great indicator of what your house may be worth if you intend to sell it in the near future. Conversely, when it comes to homeowners insurance, it is always better to err on the side of caution. If you calculate the full replacement cost of your home, you can insure your residence appropriately.